Will Windows 8 be the next Vista? Windows users know the old saying: Microsoft only gets the Windows operating system right with every other release. It’s never been a black-and-white thing: for every person who rails against the inadequacies of a particular version of Windows, there’s usually another who likes the same version — or at least finds it workable. But think about it: where Windows 98 was generally well received, Windows ME was not. Where Windows XP essentially set the standard for desktop operating systems for a decade, Windows Vista was…found wanting. And where Windows 7 has been a solid success for Microsoft, Windows 8 — well, Windows 8 represents perhaps the most radical paradigm shift for the company since Windows 95. Could Windows 8 turn into Microsoft’s next Vista — a new operating system with the seeds of technology that will only be refined and embraced further down the road? Or will Windows 8 be a smash hit right out of the gate, like Microsoft is telling consumers, corporations, and investors will surely be the case? The first strike against Windows 8 for current Windows users is that while the interface-formerly-known-as-Metro is designed for touch screens, the vast (vast) majority of existing Windows systems do not have touchscreen displays. Regardless, Microsoft is emphatic on the point, telling developers making apps for the new interface that their “first and foremost” design consideration should be that touch is their app’s primary interface. Yes, most of Windows 8’s interface elements can be used with a traditional mouse or other pointing device, and right-clicking has taken on even more significance as a way to access some functionality that’s otherwise confined to gestures. But the simple fact is that Windows 8’s new interface is not designed for the keyboard-and-mouse or keyboard-and-trackpad combination most Windows users have. Where sweeping gestures ranging from one side of the screen to the other make sense on comparatively small touchscreen displays found in mobile phones and tablets, they don’t make much sense when scaled up to a 21, 23, or 30-inch display and a mouse pointer. 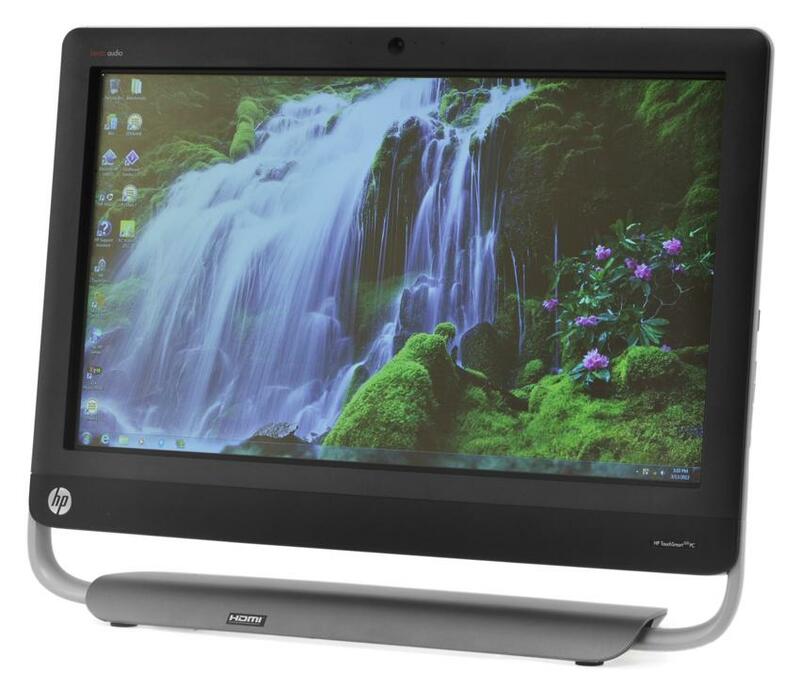 Although PC makers have been pushing touchscreen-equipped all-in-one PCs as home and student solutions for some time, the idea of a touch interface on a large PC screen has generally failed to resonate with consumers. Sure, that may be because touch support in Windows 7 is hit-and-miss, and the touch-enabled shells and apps offered by the likes of HP, Acer, and other OEMs were…well, let’s just say they’ve had varying utility. Maybe the Windows 8-style UI will address those concerns — at least for all-in-ones with touch hardware that supports Windows 8’s full range of gestures and touch features. But more problematic is that many people just don’t like waving their arms around to manage apps, messages, and documents. Move their wrists, maybe even reach a few inches for a pointing device? Sure. But reaching out to physically touch a screen? Particularly one which, for ergonomic reasons, will be just beyond comfortable reach for many people? Not going to happen. Of course, all-in-ones aren’t the only traditional Windows computers with touchscreen displays: convertible tablets have had them for years (and never been a hit outside specialized organizations and corporate environments), and some rare consumer notebooks have touchscreen displays. These features, however, add to the cost of PCs and so have never been popular with mainstream users or even corporate buyers, who usually look to get the greatest number of machines as inexpensively as possible. Maybe Windows 8 will help touchscreen notebooks take off — OEMs are also working on notebooks with larger trackpads that better support Windows 8 style gesture input. But these hardware features add to the cost of Windows notebooks, which means price-sensitive Windows users won’t be getting them anyway. For these folks — not to mention the millions of people who already have PCs without touch capabilities — Windows 8’s dependence on touch is a near non-starter. Microsoft has built ways for traditional users to both use and avoid the new interface. Perhaps most importantly, apps can be launched from the keyboard (press the Windows key, type the first few letters of an app’s name, and press Enter), effectively making the new UI a giant Start menu. Windows+D switches to the traditional desktop…but hitting the Windows key on its own flips back to the new interface. Nonetheless, the simple fact is that Windows 8’s new interface is built around a touch-centric framework that many of its users won’t be able to touch — and that includes millions upon millions of corporations and institutions. If Windows 8 users — including corporations and institutions — want to avoid the new interface altogether in favor of a traditional desktop, it looks like that’s not going to happen either. One of the last changes Microsoft apparently made to Windows 8 before releasing it to manufacturing was to disable the ability to boot directly to the desktop. 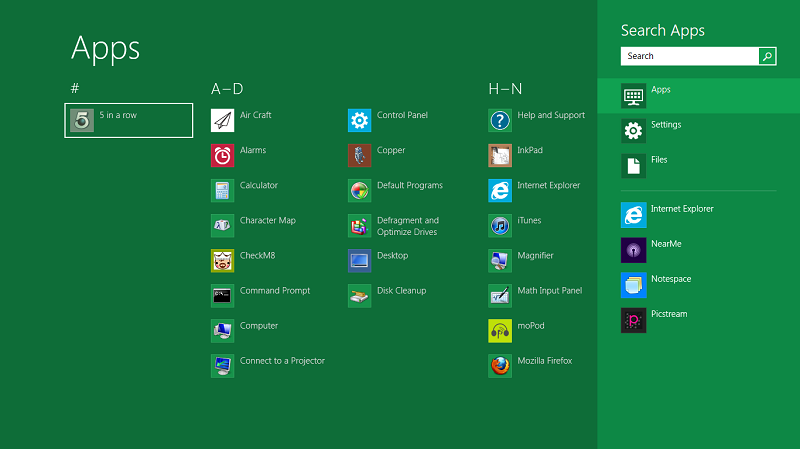 If you run Windows 8, the new interface is unavoidable. Of course, a significant portion of Microsoft’s push with Windows 8 eschews the traditional desktop altogether, with Windows RT being aimed solely at ARM-based tablet devices. Windows RT represents Microsoft’s effort to take on both the Apple iPad and Android tablets, and (together with Windows Phone 8) present a unified ecosystem across both tablets and smartphones — markets that have exploded in the last few years. Microsoft has done two things that may make Windows RT a non-starter for both consumers and businesses. 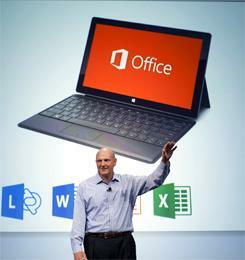 First, it decided to get into the hardware business with its own ARM-based Surface tablets. Microsoft is still vague about what the final specs on the devices will be, but they more-or-less aim to combine an iPad-like tablet with a netbook-like PC: sure, they have a touchscreen, but they’ll have a kickstand and a keyboard (of sorts) integrated with the cover. The idea is that if people want a tablet experience, they can have it — but if they want to do text-entry with something other than an on-screen keyboard, they can do that too. However, they won’t run apps for the desktop version of Windows: only new apps created for Windows RT that are available through Microsoft’s curated online store. The appeal of Microsoft’s “toasterfridge” approach with the Surface tablets is that they can theoretically support both media consumption and productivity applications. Users will be able to play games, stream video, and do video conferencing, but also work on email and Office documents. Windows RT and Surface thus presents two fundamental problems for Microsoft. First, getting into the hardware business will alienate some of Microsoft’s OEM partners — and we’re already seeing cracks in the facade of Microsoft’s OEM ecosystem. Microsoft may find few OEMs embracing Windows RT, since they’d be competing at a disadvantage against Microsoft. Windows RT could find itself an “also-ran” in the broader world of Windows. At best, the Windows RT ecosystem will get off to a slow start; at worst, it will fizzle. Second, although Microsoft will offer a version of Office 13 for Windows RT, they’ve already made it clear it will not be a full and complete version of Office: for instance, Office 13 will omit support for VBA and even macros. On one hand, this makes Office for Windows RT more secure: both VBA and macros are historically a vector for malware. But it also means Office 13 is suitable only for undemanding Office users who don’t go a lot farther than writing memos, making a chart or two, checking email, and maybe playing a presentation. Users or organizations that rely on customizations and add-ons to Office may be out of luck on Windows RT — making it a non-starter. …but Windows 7 did so well! 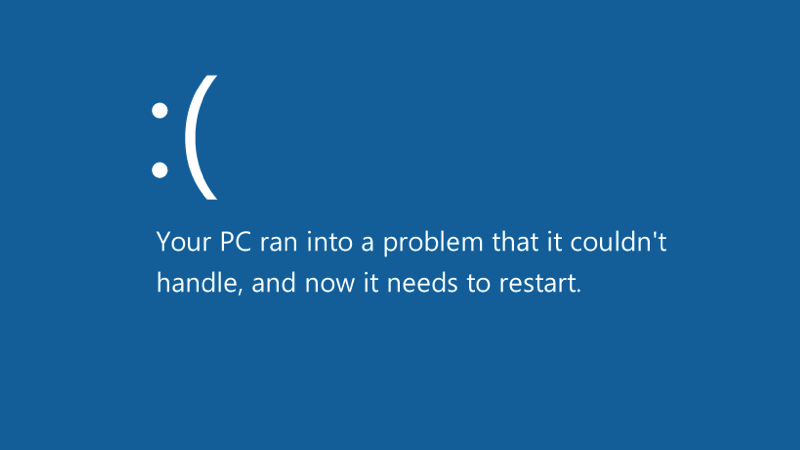 Another impediment to Windows 8 adoption might well be the success of Windows 7. When Microsoft introduced Windows Vista, it also introduced new hardware requirements that left many users out in the cold. 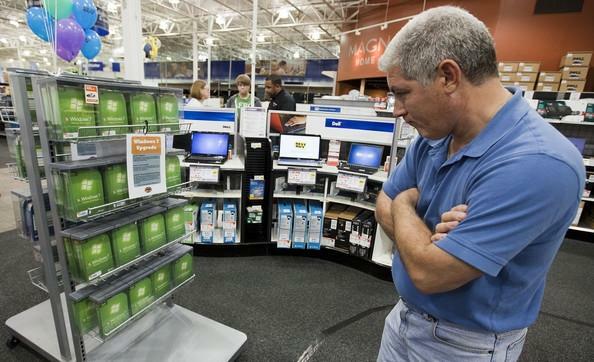 (Microsoft was also sued over a allegations its “Vista-capable” campaign was misleading.) As a result, many consumers and businesses decided to hold off on upgrading to a new version of Windows until they got a new PC. Thanks to a recession and a a worldwide economic slowdown (and, potentially, poor release timing), that meant many Windows users skipped Windows Vista and jumped directly to Windows 7 — which Microsoft released a scant year and a half after Vista. Often, those Windows 7 upgrades came in the form of new PCs — and, for most Windows 7 users, those PCs are less than two years old. Although Microsoft has taken great pains to make the Windows 8 upgrade process as smooth as possible, the fact remains that many Windows users only upgrade to a new operating system when they buy a new PC. For many everyday users — and particularly businesses, corporations, and institutions — it’s too soon to consider replacing their still-new PCs. …but Windows 8 will be awesome! 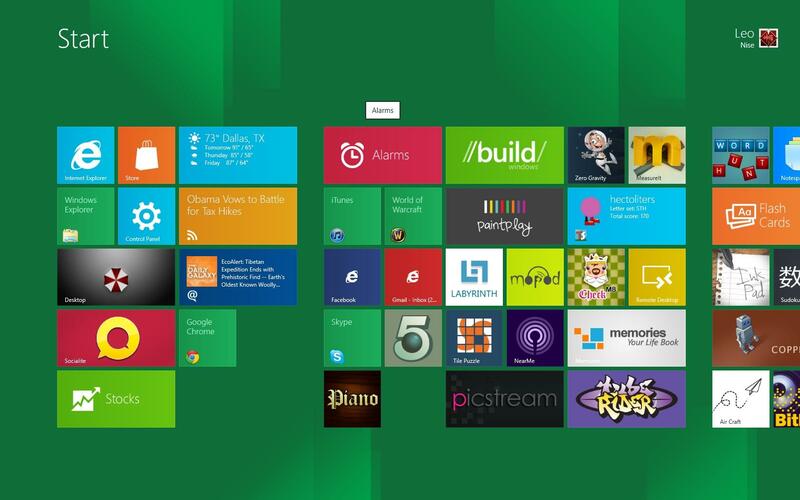 Make no mistake: Windows 8 brings many new features. To my jaded eyes, its vastly improved multi-monitor support alone will be worth the $40 upgrade price — but I have trouble living on fewer than three screens. Other key features include substantially improved boot times and boot security, Xbox Live integration, new ribbon toolbars, a complete revamped Task Manager that will please many power users, an improved Windows Defender, Storage Spaces (handy for backup and mirroring), new Reset and Restore recovery functions, native USB 3.09 support, and Hyper-V virtualization (previously restricted to Windows Server). Certainly, for many users, Windows 8 will represent both a substantial value and a major leap forward — but the same thing was true for Windows Vista and Windows ME. However, if Microsoft can’t break its every-other-Windows success cycle, it may take another two years before the company is positioned to make a real move into the mobile and tablet market—and it might not be able to wait that long.